Addiction is a chronic brain disease that shatters lives. Across the country, parents and family members of loved ones with substance use disorder are isolated and afraid. It’s time to change that. When a loved one is dealing with a substance use disorder, it can make family members feel lost, full of blame, and alone. But knowledge is power: The education provided in the Shatterproof Family Program gives families understanding and hope. Delivered in a community setting, it offers comfort to families who are suffering and shows them that even though they may feel alone in their struggle, there are many others who face the same challenges. Provides education on substance use disorder informed by the latest evidence-based research to help families overcome the myths, chaos, and confusion that surround the disease of addiction. Offers a safe and caring setting where families can share experiences, build new relationships, and strengthen their support network while reducing isolation. Is comprised of 12 topic areas reviewed by our nationally-recognized scientific advisory board. Promotes and teaches how to create recovery environments within homes and communities nationwide. Helps families understand the many types of treatment resources to find ones suited to meet their needs. You do not need to apply together, Shatterproof will match interested persons from each category. Trained facilitators will deliver the curriculum at a frequency that works for both them and the families. We encourage you to explore this program further if you are interested in either being trained as a facilitator or joining a local program. 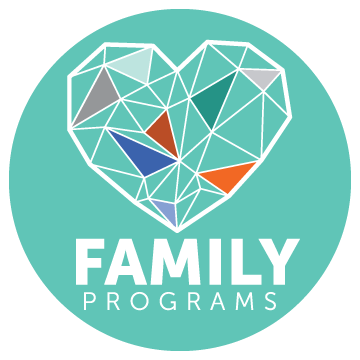 Are you a family member looking to find a program in your area? See currently available locations or complete an interest form to be notified when one opens in your area. Are you looking to be trained as a Facilitator? Learn more about the Facilitator roles and responsibilities and how to apply. Host organizations provide training space and support to market the program in their community. Program costs are discounted for host facility employees. UnitedHealth Group Foundation has generously provided a grant to Shatterproof for the development of the Family Program, where much-needed guidance from trained facilitators can be obtained in a stigma-free environment.